Congratulations to Levi Powe, who just won First Place in the 21st Annual Sphinx Competition Junior Division for musicians 17 and under in Detroit. Levi has won the Tucson Symphony Orchestra’s Young Artists Competition three times since he first entered at age 11. At the competition, Levi performed the first movement of Haydn’s First Cello Concerto and two contrasting movements of Bach Cello Suites for a jury including violinist Rachel Barton Pine who will perform with the TSO next month. First Place winners receive a $10,000 cash prize, solo appearances with major orchestras and an appearance on the nationally-broadcast radio show From the Top. 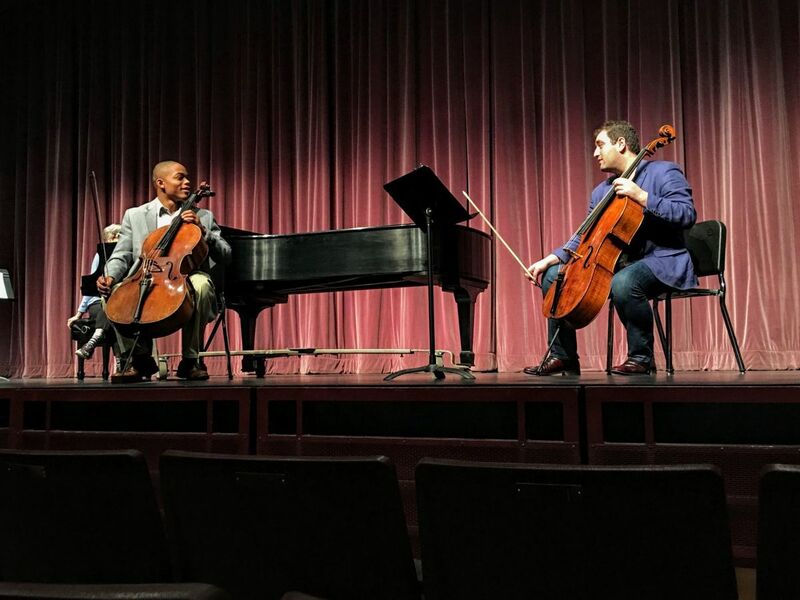 Levi participated in a Master Class last month with Julian Schwarz who performed Shostakovich’s Cello Concerto No. 1 with the TSO. The advice he received from Schwarz about competitions apparently paid off!